Each academic program includes courses from three areas of the curriculum: Biblical Studies, Christian Ministry, and General Education. Courses from these areas work together to help students develop a Christ-centered worldview and a heart for loving God and serving others. Students are challenged to grow in knowledge, in critical thinking skills, in communication skills, in character, and in commitment to their faith. We believe the Bible is God’s written word and is His clearest revelation of spiritual truth. The Bible functions as our final authority for matters of faith and practice. Consequently, we make the study of the Bible the focal point of our curriculum. particular parts of it, provide knowledge of its content and give opportunity for assessing its meaning and application for today’s world. The Biblical Studies curriculum includes Bible: Old Testament (BOT), Bible: New Testament (BNT), Biblical Studies Approach (BSA), and Theology (TH). God desires that we minister to others through evangelism, discipleship, and lives of service. Christian Ministry courses seek to provide the necessary knowledge and skills to serve effectively. Informative courses dealing with a broad scope of ministry, as well as more specialized courses pertaining to specific ministry emphases, contribute toward helping students implement God’s will on earth. The Christian Ministry curriculum includes the Student and Intercultural Outreach Programs. 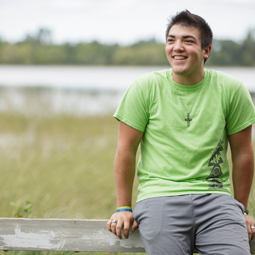 Students are involved in a supervised ministry or service project weekly in Bemidji and nearby communities or as scheduled for intercultural outreach. Students will participate in four semesters of local outreach and two semesters of intercultural outreach. 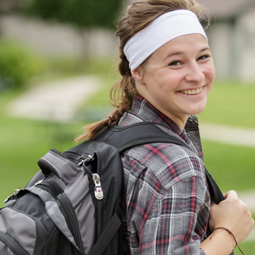 Christian Ministry curriculum includes Camp Ministry (CA), Christian Ministry (CM), Counseling (CO), Intercultural Studies (IS), Leadership & Ministry (LM), Pastoral Ministry (PM), Worship Arts, and Youth Ministry (YM). Youth and Pastoral Ministry majors may also add a Worship Arts (WA) emphasis to their program. In addition to the Scriptures, God has also revealed knowledge through the created order. We believe all truth is God’s truth, and we seek to understand this in our general education courses by studying the nature of humanity, society, communication, aesthetics, and the physical world. Such knowledge helps us understand God, ourselves, and the world, in order to serve God more effectively. General Education curriculum includes the following components. Business: To develop and exercise commerce-related skills. The Business curriculum includes Business (BUS). Communications: To develop and express ideas clearly and effectively. The Communications curriculum includes Communications (COM) and English (ENG). Humanities: To broaden understanding of the human experience by exposure to the history of human ideas, languages, literature, the arts, and philosophy. The Humanities curriculum includes Humanities (HUM), Language (LA), Music (MU), and Teaching English as a Second Language (TESL). Social Science: To investigate humanity in a variety of contexts, from individuals to complete societies. The Social Science curriculum includes Addictions Counseling (AD), Cultural Studies (CUL), Government (GOV), History (HI), Psychology (PS), and Sociology (SOC). 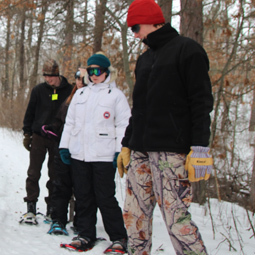 Science/Math: To understand the natural world and the scientific approach to learning. The Science/Math curriculum includes Science (SCI) and Math (MTH).